Theresa Zighera has worked in San Francisco and throughout the Bay Area for nearly two decades both in the nonprofit and public sectors. 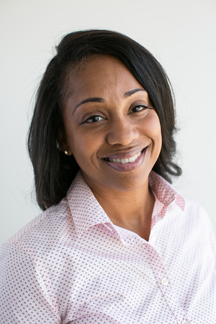 Stepping into the role of Interim Executive Director, Theresa will continue First 5’s focus on improving outcomes for our youngest children and their families by fundamentally shifting the way our systems of care function so that they are more equitable, better coordinated, and of higher quality. Theresa has a strong commitment to ensuring that our community partners and providers have the information, structures, and supports they need to achieve excellence in their work, so that together we can reach our collective aim of quality programs, connected families and healthy, thriving children who are ready for school. Prior to her role as Interim Executive Director, Theresa served as a Senior Program Officer at First 5 San Francisco overseeing the expansion of early intervention initiatives and creating key points of intersection and alignment across the broader continuum of First 5 investments in early childhood development, family strengthening and child health. Her professional endeavors are enhanced by playing and learning with her 9-year-old son and her prior experience as a trainer, teacher, and clinician in a variety of educational settings spanning both US coasts and Ireland. 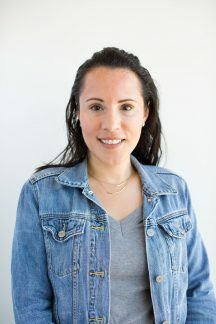 Theresa has a Masters in Social Welfare from UC Berkeley, with a specialization in Management and Planning for Children and Families programming. Derik enjoys organizational and program development issues, especially the design of health and wellness initiatives. 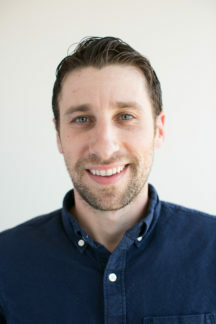 Derik joined First 5 San Francisco in 2001. He provides oversight to healthy child, family support, and quality improvement initiatives. His personal interests include trying new food from many cuisines cooked at home or eaten out, attending performances (especially opera), reading, gardening, and ‘outdoors lite’ activities. Kahala has worked with the City and County of San Francisco for the past 15 years. Kahala enjoys spending time with her three children and granddaughter. She is known across departments for solving problems, listening, and formulating paths forward for complex administration issues. Tracy Fong has a background in business administration and social sciences. She has been with First 5 San Francisco since 2006, first as a program associate and currently as the fiscal officer. Tracy is a native San Francisco resident with a large extended family in the Bay Area. Teresa has worked in and supported economic development and social justice organizations in San Francisco and abroad for the last 20 years, most of that time providing business and financial coaching to San Francisco entrepreneurs and family child care providers at Mission Economic Development Agency. Her professional passion extends from her personal values of supporting families with small children and immigrant/underserved communities. When not working she enjoys watching movies, attending live performances, gardening, taking long walks, traveling, and spending time with friends and family. Winnie has over seven years of professional experience working in the non-profit family support services field. 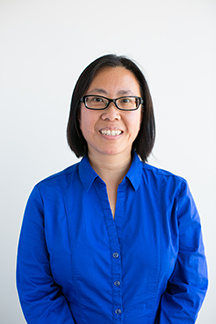 Prior to joining First 5 San Francisco, Winnie was the family support manager for Wu Yee Children’s Services, where she led three main prevention and early intervention programs to promote the healthy development of children and families. When not at work she enjoys spending time with her family, venturing out and exploring new places. 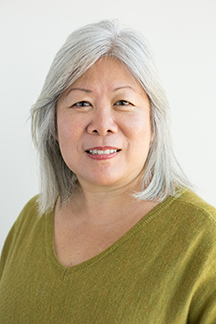 Lisa Lee brings over 30 years of experience leading and collaborating with organizations and institutions serving young children, families, and communities. 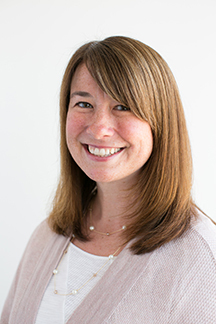 Prior to her decade of work at First 5 San Francisco, Lisa developed and facilitated national training and technical assistance initiatives across early education, family support, and social justice fields. 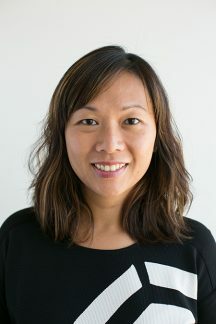 Jennifer has over 15 years of nonprofit experience, 10 years of which are in program design and implementation in San Francisco and San Mateo Counties through the Resource and Referral agencies 4C’s of San Mateo County and Wu Yee Children’s Services (SF). Co-designing and implementing developmental screening, training and continuous quality improvement for family child care educators. She is a native San Franciscan, born and raised in the Mission District. 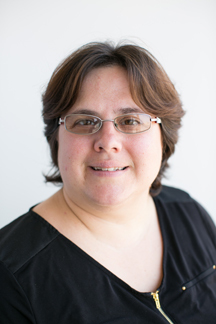 Shelli Rawlings-Fein has an extensive background implementing and overseeing non-profit services for families, children, and individuals affected by child welfare involvement, substance use, domestic violence, and teen pregnancy. Shelli is also a lactation educator counselor who enjoys helping families get the best start possible. On her days off, Shelli likes to spend time with her husband, children, dog, cat, and their backyard chickens. Jonathan’s passion for work in the public sector was apparent well before he set foot in a cubicle. Over the past decade he has worked to provide guidance and expertise to public sector organizations through outreach and development. Outside of the office, Jonathan is committed to silly adventures with his two children. Jonathan is a native of the East Bay, and enjoys rediscovering his favorite local hikes (Berry Creek Falls, Santa Cruz County), restaurants (Taqueria Talavera, Berkeley), and Beaches (Limantour Beach, Point Reyes National Seashore) through the eyes of his young children. 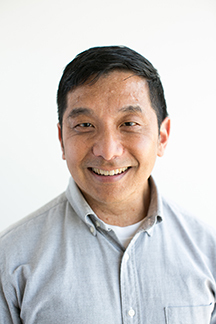 Wei-min has worked in early education research, evaluation, and policy for more than 15 years. 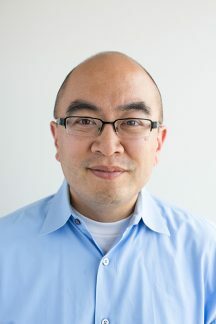 His background is in education and urban policy and includes experience in federal, state, and local governments and the philanthropic sector. Outside of work, Wei-min can be seen cycling around the city and imploring his two children (in Mandarin) not to fight so much. 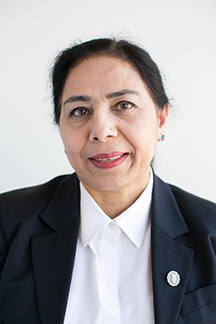 Zoobi is a developmental philosopher with more than 25 years of experience in the field of early childhood education, including curriculum instruction, research, training, and teacher education. Professionally, she has served as a non-profit director, program manager, and now a QRIS advisor at First 5 San Francisco. 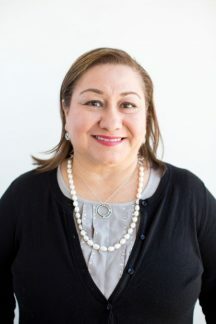 Prior to coming to First 5 in 2013, she worked with the San Francisco State University Head Start and Early Head Start program leading the early childhood education department. Zoobi holds a doctorate in Philosophy of Education specialized in Early Childhood Education.